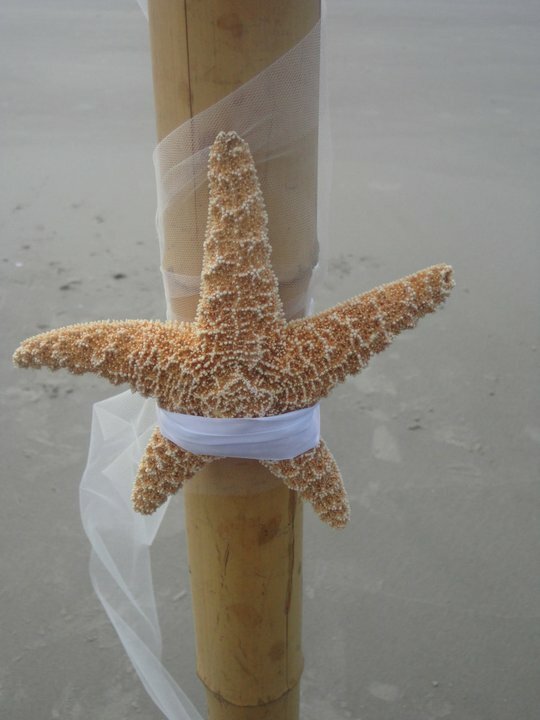 Getting Married on the Beach? The sand, the surf, and a guy in a speedo? Yup, it’s a possibility. “Speedo Man” has been known to make an appearance in the background of some wedding photos. And, while it makes for a humorous story, it’s not really a moment you want to treasure for all eternity. What are the ages of the youngest and oldest guests? 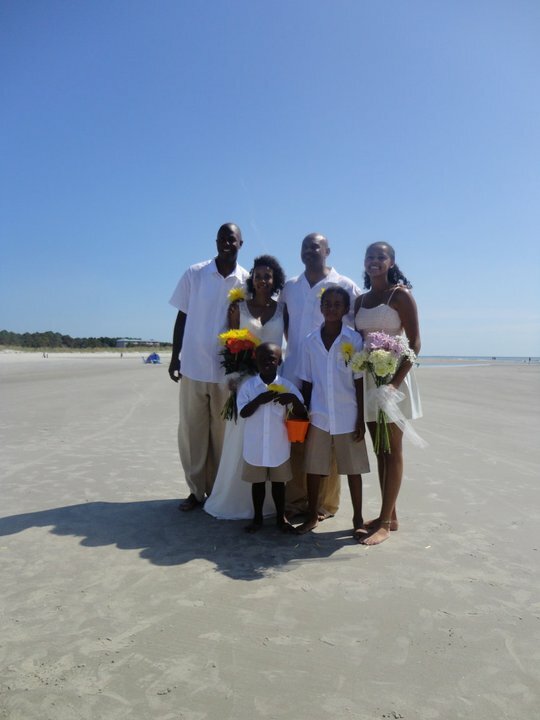 If your youngest guests are six and younger, keep in mind that they may be more interested in playing in the sand than watching your wedding ceremony. If your older guests have issues walking, think of the obstacles sand may present. What about the weather? 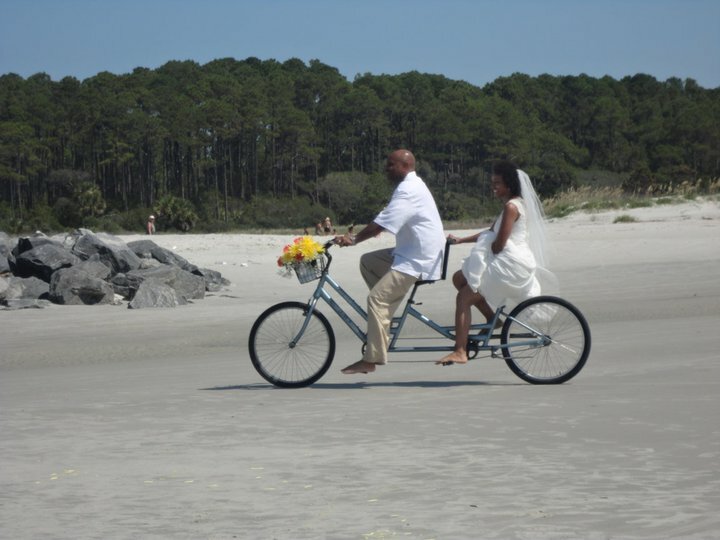 Photos of Hilton Head beaches feature bright blue skies but, trust me, it does rain – especially late in the day during the months of July and August. Always have a back-up location in case a summer storm should roll in late in the day. 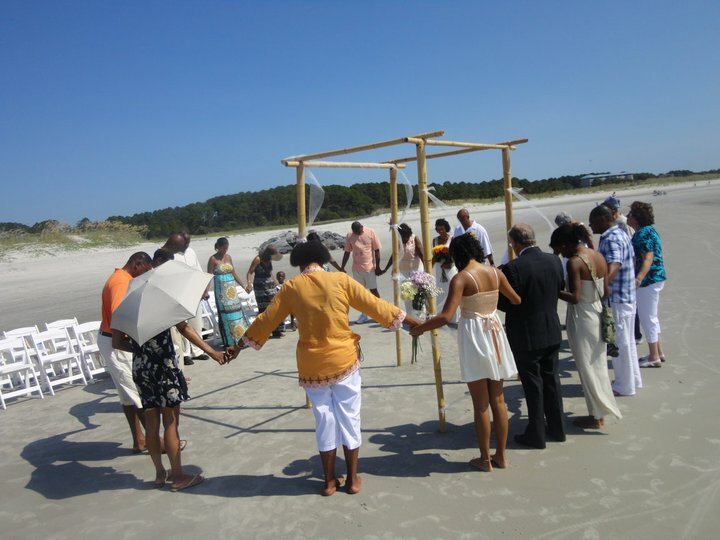 Want a sunset wedding? Then the first thing you need to do is visit sunrisesunset.com to figure out exactly what time the sun will be setting. It can be as early as five or as late as nine depending on the time of year. Next, visit the NOAA website to check the tides. The beaches on Hilton Head change drastically based on the tides. 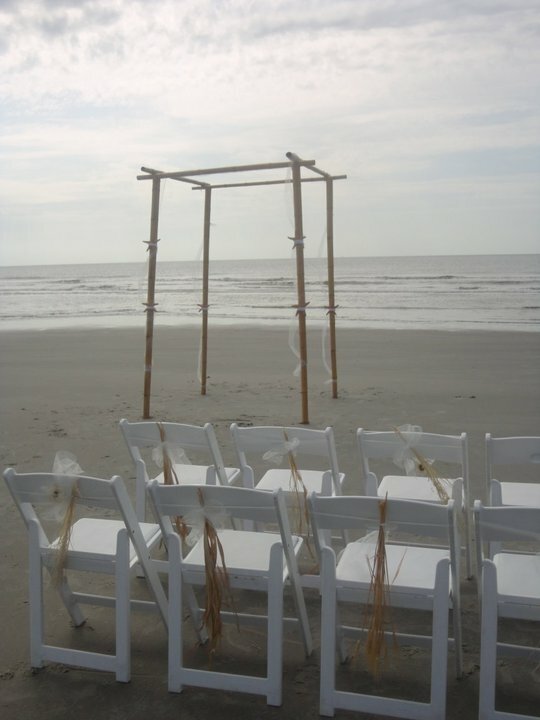 At high tide, you may be forced to say your “I Dos” on the dunes rather than the beach. Can you handle “Speedo Guy” and his relatives? 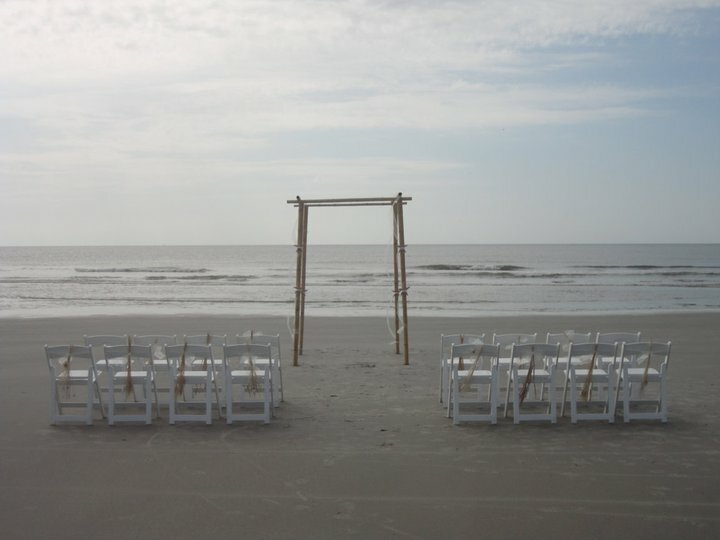 The beach is public and unfortunately as much as your wedding planner will beg and plead beach-goers to refrain from participating in the ceremony, they have a right to be on the beach too. The majority of people will watch from a safe distance and congratulate as you depart but there’s always the chance “Speedo Guy” and his family might show up. Still not swayed? Good for you! 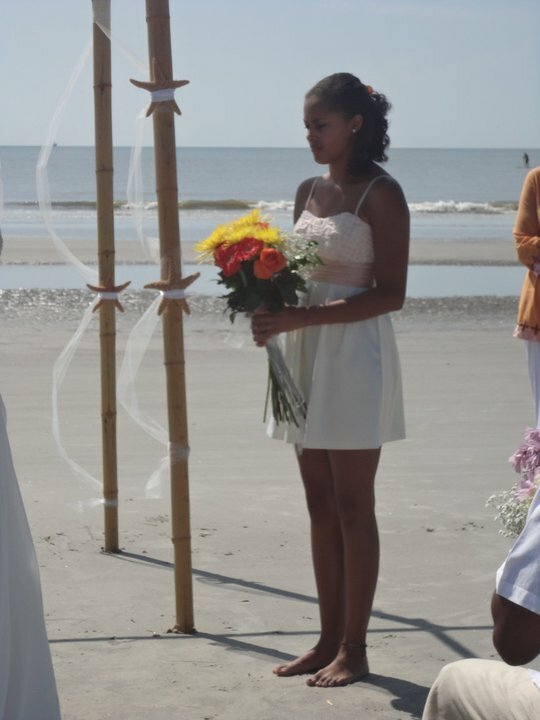 Beach weddings are beautiful. 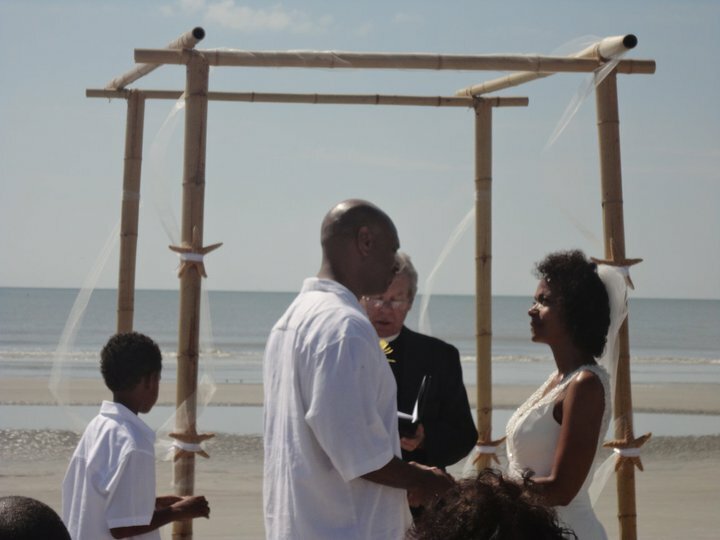 Nothing can really compete with the beauty of the sand and the surf – not even “Speedo Guy!” With some careful planning and preventive steps, you can exchange vows with your toes in the sand and friends and family at your side. 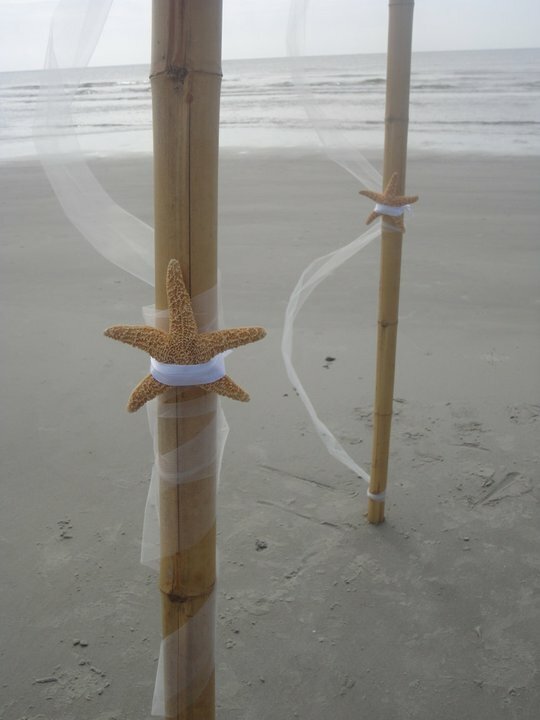 For more information on planning your beach wedding, we invite you to contact Sea Star Concierge at 843-682-2225.